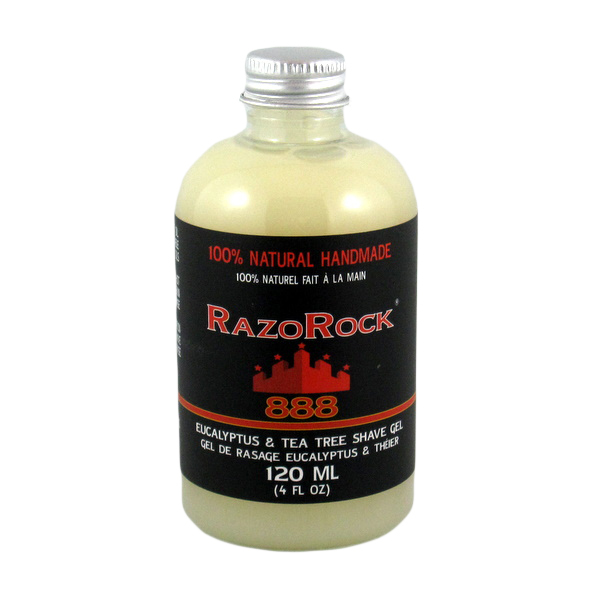 RazoRock 888 Eucalyptus And Tea Tree 100% Natural Handmade Shave Gel has been specially formulated as a dual-purpose product. As a brush-less lubricant: It is best to shave after or during a hot shower. Simply hand massage RazoRock Shave Gel into your damp stubble for at least 30 seconds. Massage into and against the grain of your beard. 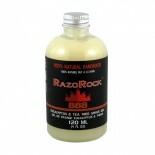 For a luxurious finish, apply RazoRock 100% Natural Aftershave wax. As a pre-shave lubricant: After a hot shower, hand massage RazoRock Shave Gel into your damp stubble for at least 30 seconds. Then apply a layer of your favorite shaving cream or soap using a traditional shaving brush. Shave and rinse thoroughly with cold water.